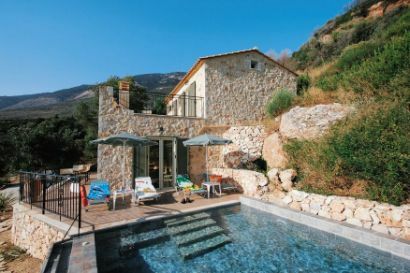 The Kalou cottage is a dream villa built our of traditional stone with a private pool. 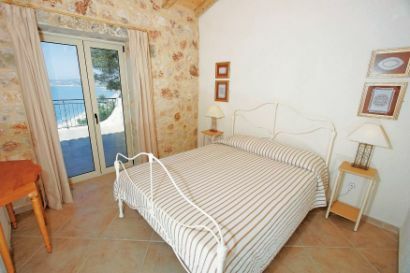 Kalou cottage is situated above the bay in Lourdas giving views of the azure blue ocean over the bay. 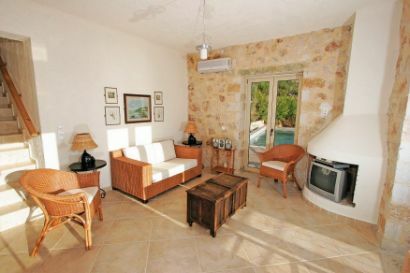 It is one of just two properties built into the cliff side to give you the most stunning views. 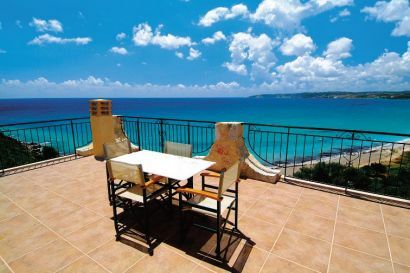 The place is well equipped and air conditioned and is just 400 metres from the beach. The balcony terrace is one of the best place on the island to enjoy al fresco dining while sitting next to your private pool in the evening. The interior is modern and light and is a wonderful place to enjoy your holiday. 1. You can check the Kalou cottage availability and package prices at Thomson Holidays. 2. You can also book and check prices at Kalou cottage with First Choice the cheap holiday specialist.